Can you confirm these amateur observations of Malpolon moilensis? Mauritania, Niger, Mali, Sudan, Eritrea, Ghana ? 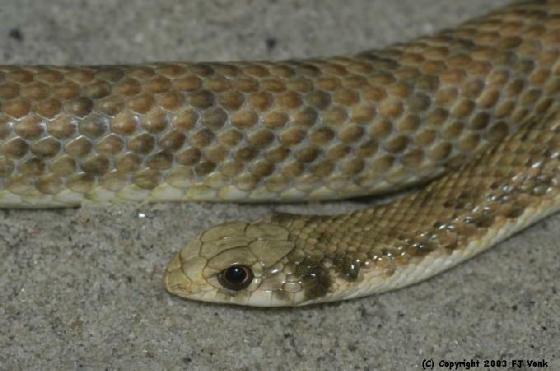 Type locality: Moilah (= Al Muwaylih), Saudi Arabia. 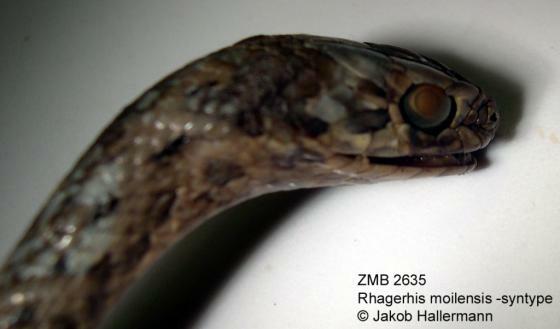 Diagnosis Diagnosis (genus): (1) the skull structure (Szyndlar 1988) that results in the typical head shape of Moila snakes (see also Brandstätter 1996); (2) elongated neck ribs that are on average 3 mm longer than in equal-sized Malpolon (for details see de Pury 2010, and Fig. 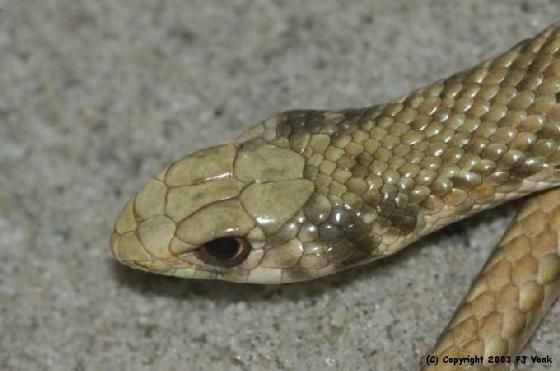 2) and facilitate the spreading of the neck into a hood-shaped pattern (Fig. 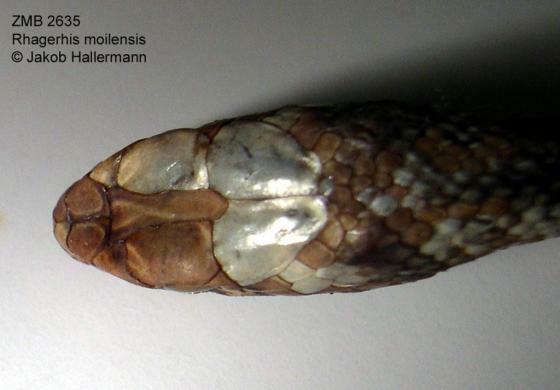 1) characteristic of R. moilensis; (3) the dorsal scale microdermatoglyphic pattern that is drastically different in Rhagerhis moilensis as compared with both Mal­polon insignitus and M. monspessulanus (Böhme & Pury 2011). 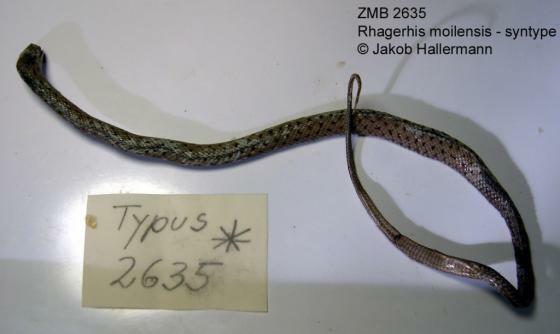 Comment Type speces: Coelopeltis producta GERVAIS 1857 is the type species of the genus Rhagerhis PETERS 1862: 274. For a diagnosis of the genus see BÖHME & DE PURY 2011. Phylogenetics: we follow Figueroa et al. 2016 for the position of Rhagerhis within Malpolon, even though few recent authors seem to follow that arrangement. 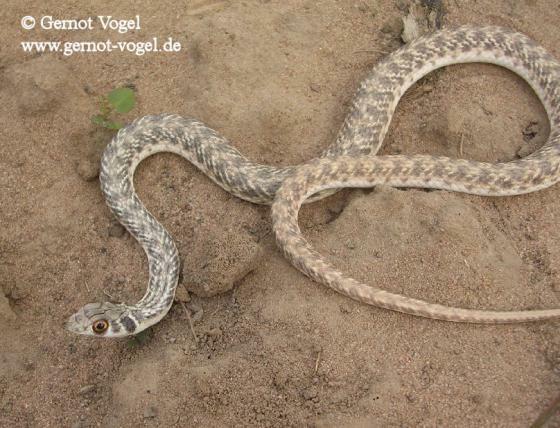 Type species: Coluber moilensis REUSS 1834 is the type species of Scutophis BRANDSTÄTTER 1995. 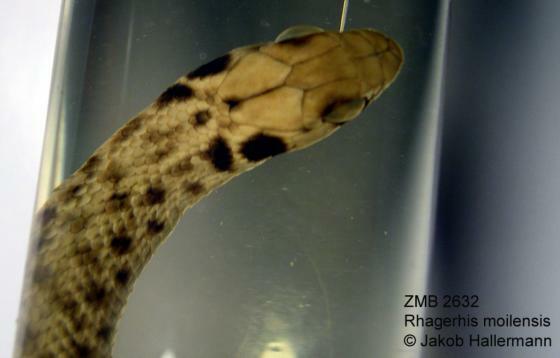 Coelopeltis productus is the type species of the genus Rhagerhis PETERS 1862. Sclater, W. L. 1891. List of snakes in the Indian Museum. Trustees of the Indian Museum, Calcutta, 79 pp.